Utah is not often remembered in the romanticized account of American West settlement. Though it certainly had its own pioneers (Mormon and non-Mormon alike), it doesn’t possess the same allure as Montana, Wyoming, or even the Pacific Northwest. Utah is neglected in the narratives of Western settlement; both the California and Oregon Trails avoided Utah, as did Lewis and Clark. 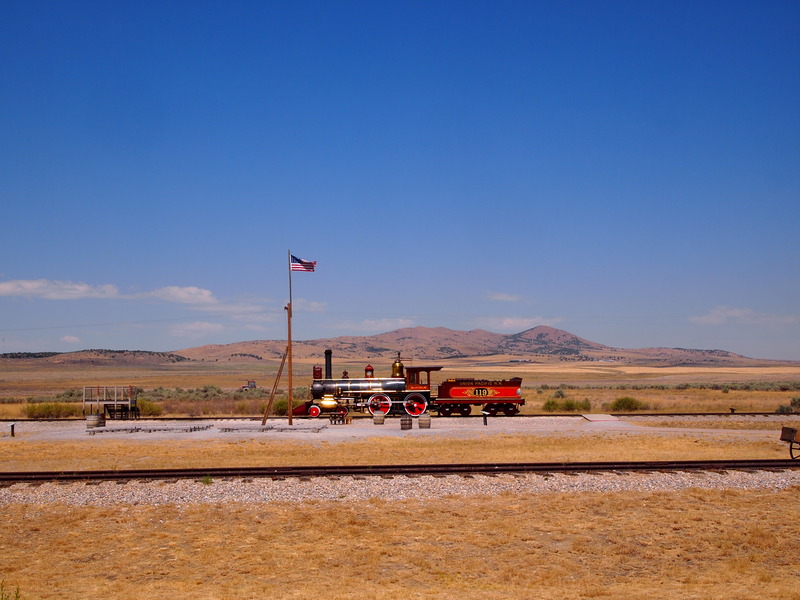 Yet, Utah’s role in Manifest Destiny is crucial if for one reason – the transcontinental railroad. In 1862, in the midst of the Civil War, Congress passed the Pacific Railroads Act which authorized Central Pacific and Union Pacific Railroads to begin building a transatlantic railroad. Although both railroads began construction in 1863, neither made significant progress until the Civil War’s end made supplies and labor more available. Union Pacific began in Omaha and worked west, while Central Pacific began in Sacramento and worked east. Each railroad met unique challenges and tapped into different work-forces along the way. Central Pacific had to contend with the massive obstacle of the Sierra Nevada Mountains while Union Pacific was met with hostility by Native Americans as they worked across the plains. Central Pacific hired thousands of Chinese immigrants to work on their rail line, and Union Pacific hired Irish, German, and Italian immigrants, along with Civil War veterans and newly freed slaves. 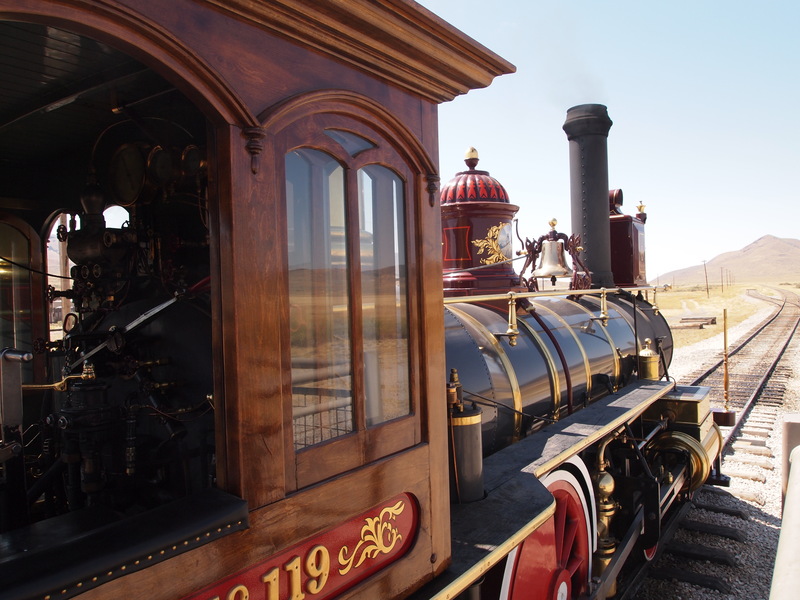 In the end, Central Pacific laid 690 miles of track and Union Pacific laid 1,086 miles connecting east to west and officially opening the Western frontier. 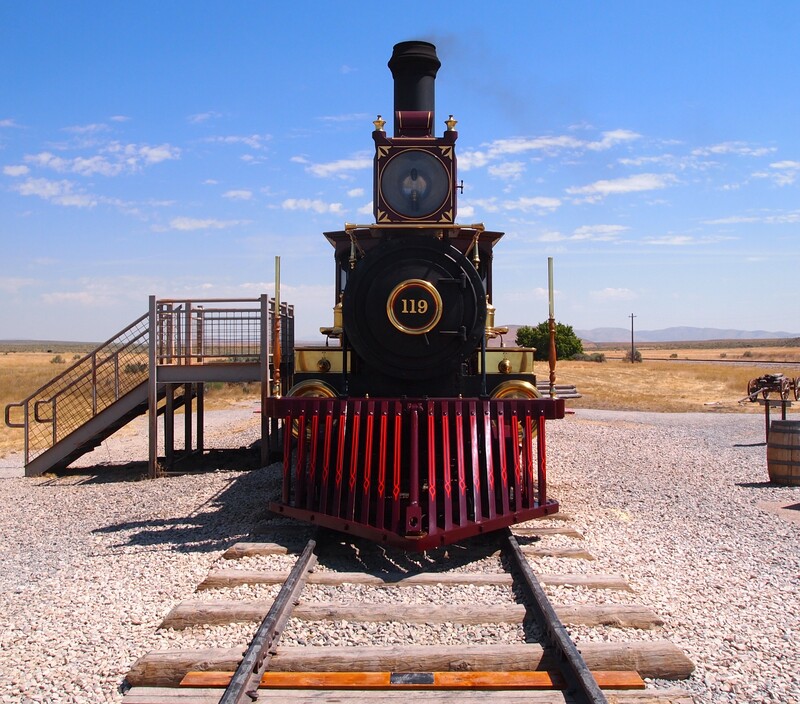 In 1904, the Lucin Cutoff opened, which allowed trains to travel directly across the Great Salt Lake, making the historic rail line just north of it obsolete. 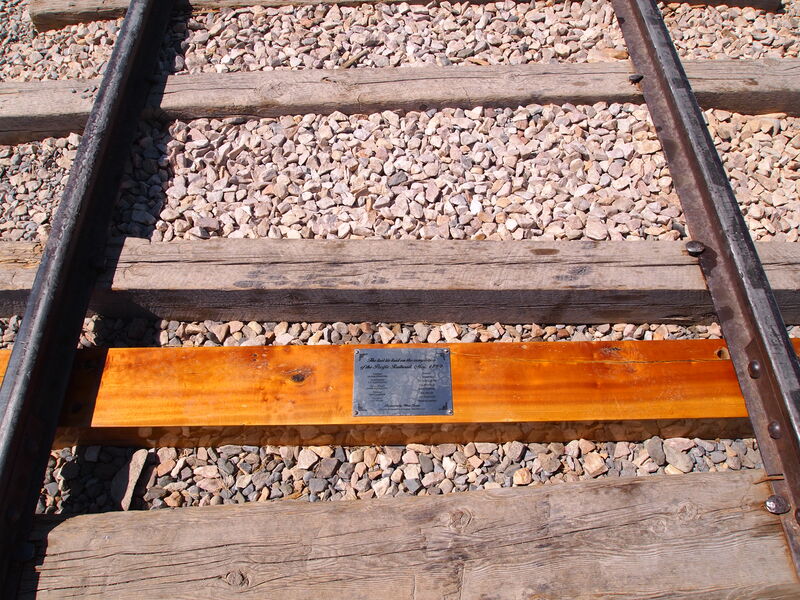 On September 8, 1942, the last spike was taken out and the steel from that section of the line was donated to the war effort. 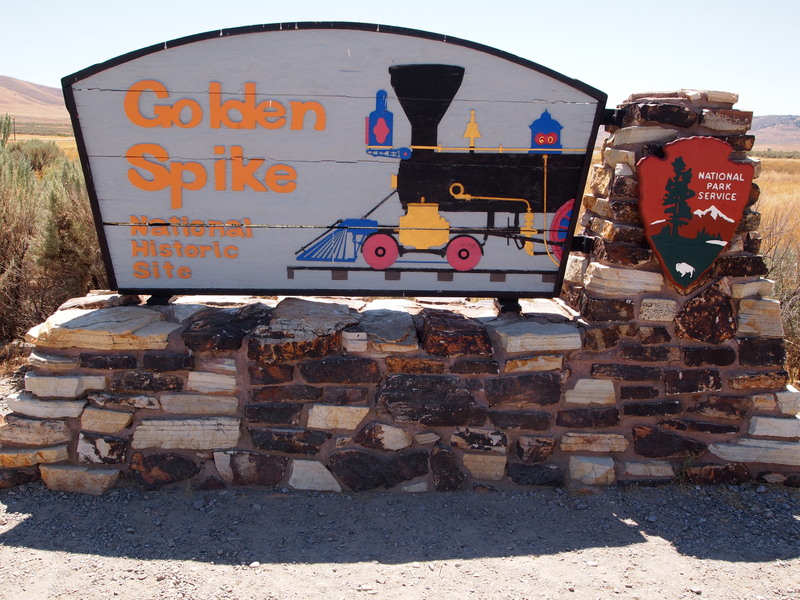 Though slightly out of the way, Golden Spike National Historic Site is well worth the visit as a particularly prominent piece of American West history. A great and pivotal piece of history. I love old trains!